A few years ago we went on a trip with the Botanical Society of Western PA to the Bruce Peninsula a few hours north of Toronto, Canada on the mouth of Georgian Bay. It was in June, and on that trip we saw quite a few Sandhill Cranes in the area. Your map doesn’t show the migration route as going that far south, so maybe they are part of the 20% that don’t stop in Nebraska? And what about the ones in Northwestern PA/Eastern OH? 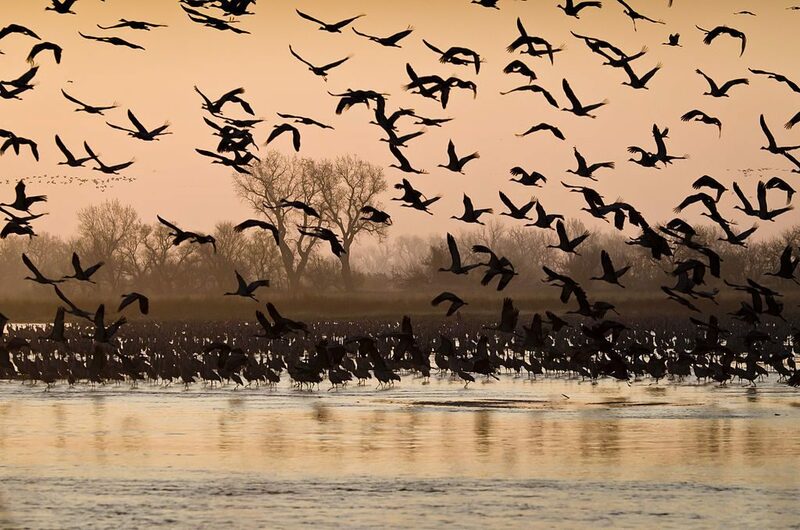 Would they not be part of the Nebraska migration either? I didn’t know there were burrowing owls in Nebraska…we’ve never seen them in the wild. Maybe we’ll have to plan a trip out there to look for them. Mary Ann, yes, our sandhill cranes are part of the 20% that don’t go through Nebraska. I’m not sure about the cranes at Bruce Peninsula.